Jim Hitt, CEO of American IRA, LLC, a national self-directed IRA provider, shares important steps to maximize retirement planning. Proper planning is key to enjoying those retirement years. Lack of planning is a great way to end up eating peanut butter sandwiches every meal (yes, everyone loves peanut butter sandwiches still eating them every meal is a bit much!) and soaking your feet in that $10 toddler swimming pool trying to keep cool! Many people have difficulty planning for retirement because they are not sure where to begin. The first thing that must be considered when planning for retirement is the “time element” in other words how old the person is now and how many years are left before they plan to retire. The longer the time between their current age and their retirement age, the more risk their portfolio can withstand. Though a point of caution to keep in mind is that the goal is to grow the retirement account; thus, risk should always be carefully weighed as a big loss in the retirement account even at an early age is still a loss that one should avoid if possible. The second thing each person should consider is their expected spending habits during retirement. Keep in mind that lots of people underestimate this amount which leads to financial hardships in their retirement years. Be honest about this when forecasting those estimates. Realistically, most people ‘who have planned properly’ spend more each year during those retirement years than they spent each year they worked. The reason for this is pretty simple; retirees have more time to do the ‘fun things’ in life and thus tend to spend more money during their retirement years. The third consideration for taxable retirement accounts is to be sure each person is forecasting their funds based on those after tax distributions. This may sound like the easiest step in planning…still it is difficult to know what the future tax rates will be…a good rule of thumb is to overestimate the tax burden and plan for that overestimated amount. Of course, those who have Roth IRA accounts will not have to worry about this as they paid their taxes on that account when they funded it and will not have to pay taxes on any of their distributions. The fourth important rule of thumb is to diversify their retirement portfolio. Diversification helps to protect the retirement fund from the ups and downs of economic times. At American IRA, LLC, people can use their self-directed retirement accounts to invest in real estate, private lending, limited liability companies, precious metals and much more! It is easy to see the growth potential of investing with a retirement account versus letting funds sit in a savings account! Jim Hitt concludes, “Careful planning is critical to the onset of a happy and full-filling retirement. Self-directed IRAs provide people with the largest amount of flexibility, choice, and control over what they invest in and how much risk they put their portfolio in. When people wonder what to invest in, it depends on what they are currently doing; what their area of expertise is; what their comfort level is with risk. If they are comfortable with real estate investing, then it makes sense for them to use their real estate expertise to grow their retirement funds. For example, they can buy a rental property within their retirement fund and allow that property to contribute rental income to the retirement fund. At the same time, they can keep some mutual funds and perhaps even some CDs in their retirement account. This mix would give them a nice safe yet diverse retirement portfolio. American IRA, LLC was established in 2004 by James C. Hitt in Asheville, NC. The mission of American IRA is to provide the highest level of customer service in the self-directed retirement industry. Mr. Hitt and his team have grown the company to over $250 million in assets under administration by educating the public that their self-directed IRA account can invest in a variety of assets such as real estate, private lending, limited liability companies, precious metals and much more! To learn more about American IRA, LLC and self-directed IRAs/self-directed Solo 401(k)s, please contact our office at 1-866-7500-IRA(472). As a self-directed IRA administrator they are a neutral third party. They do not make any recommendations to any person or entity associated withinvestments of any type (including financial representatives, investment promoters or companies, or employees, agents or representatives associated with these firms). They are not responsible for and are not bound by any statements, representations, warranties or agreements made by any such person or entity and do not provide any recommendation on the quality profitability or reputability of any investment, individual or company. The term “they” refers to American IRA, located in Asheville, NC. According to 247wallst.com, the medicare health insurance fund is projected to be exhausted by 2024. American IRA, LLC is getting the word out that a Health Savings Account can help bridge the gap! Qualified expenses paid from a Health Savings Account are tax-free. Publication 969 provides the complete details of the rules of Health Savings Accounts including how much can be contributed to each individual’s account per year. Considering Self-Directed IRAs and don’t know where to start? American IRA-a National Self-Directed IRA provider announces free consultations. No obligation, no strings…lots of valuable information. Using a self-directed IRA is an increasingly popular concept in retirement investing. Currently, about one account in twenty is a self -directed, IRA, and that number is growing rapidly. Self-direction is an ideal solution for select investors who are dissatisfied with returns available in more conventional retirement investments, and who have experience and aptitude in other investment fields, including real estate, precious metals, tax deeds and liens, land banking, venture capital, farming and ranching, or nearly anything else under the sun. Step 1: Open a New Account. Step 2: Decide how to fund the new account and complete the necessary forms. Step 3: Decide what to invest in and initiate the transaction. Step 4: Avoid prohibited transactions. Want to know how a self-directed Individual Retirement Arrangement (an IRA) can provide the means for you to tap into your nest egg and try and consolidate or, preferably, start increasing the value of your fund? Then read on and we will quickly demonstrate the benefits of having a Self-directed IRA with American IRA, LLC. The slump in global financial markets has seen the value of retirement funds plummet in recent years and with little sign of recovery on the horizon, the downward trend in fund values is set to continue. If you want to stop the slide in the value of your retirement fund, you need to take action like many other people looking for better investment opportunities. You cannot, except in special circumstances or by paying penalties, get access to the cash in your IRA retirement fund but a self-directed IRA provides the means to actively manage the cash in the fund and put it into investments that you select and understand. A self-directed IRA essentially allows you to take control of the money in your IRA retirement account, Roth, Traditional, SEP, SIMPLE, even an HSA or Coverdell Education account and put it to work for you, with some restrictions through an American IRA self-directed account. Here’s a simple example. Your current retirement fund is worth $100,000 and is invested in bank deposits that offer barely over 1%. In real terms, the value of that fund is decreasing each year because of inflation. So you set up an American IRA self-directed retirement account and use the funds to buy a single family dwelling that will be rented out at $500 per month, after expenses, giving a gross yield of 6%, almost six times your existing yield. Note that the net yield goes back into the retirement fund – you cannot use it for personal reasons. Setting up your American IRA is as easy as opening a bank account. The IRS requires that a custodian is appointed to hold the assets and accounting on behalf of the IRA owner. There are numerous brokers and financial institutions, including banks, which offer this service; however, these types of providers will generally only allow investments in securities not non-traditional assets such as real estate. As with any self-directed IRA program, there are going to be terms and conditions applicable to your IRA, and you will have to take a look at these to make sure you do not get into any prohibited transactions. You will need to be especially careful in your investment products. Keep in mind that the overall design of the self-directed IRA is to manage retirement resources and is not intended to allow you to get early access to your retirement funds for personal use. Therefore, you can see why you cannot use an IRA to invest in any assets you currently own. Typical investments are real estate, private lending, limited liability companies, precious metals and much more! 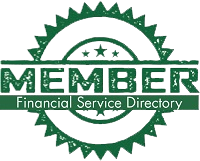 American IRA, LLC, is a third party administrator for Self-directed Retirement Accounts. 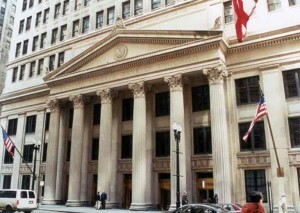 American IRA, LLC was established in 2004 and currently has over 250 million in assets under administration. They protect your wealth by making sure that all uninvested cash under their administration is stored in FDIC-insured accounts. As administrators, they do not make any recommendations to any person or entity associated with any type of investment. If you would like more information on this or any other type of self-directed retirement account, please feel free to contact the team at American IRA, LLC via e-mail [info@americanira.com] or via phone 1-866-7500-IRA(472), or visit their website [www.americanira.com]. A self-directed IRA or a self-directed Roth can generate more wealth for you and help you cope with the financial realities of this bankruptcy boom era. More and more people are beginning to understand and appreciate how IRAs and Roths can help them save money on taxes and fund their retirement. The self direction part, on the other hand, continues to evolve but is today accepted as a viable strategy for diversifying your investments. More Americans filed for bankruptcy last year than during the entire decade of the 1960s. As interest rates continue to challenge consumers already struggling against debt, we expect the numbers of bankruptcy cases to continue to rise in the next few years. In his book “Going Broke: Why Americans Can’t Hold On to their Money,” Connecticut College Psychology professor Stuart Vyse cites tests administered to American subjects to observe their attitudes and behaviors toward money. He arrived at these four conclusions. Credit cards encourage people to over-estimate the value of things they want to buy. People tend to splurge when they receive a windfall. People tend to be unwilling to sacrifice or be inconvenienced so they can save a few dollars off their purchases. People tend to pay more for the trappings of luxury. These general tendencies coupled with the easy availability of credit and the incessant barrage of desire-inducing advertising make it difficult for people to resist getting into debt. And quite simply, uncontrolled debt is why many Americans are broke. To counter the debt trap you need a financial strategy that gets you debt free aggressively. Part of this strategy should include choosing wise investments, particularly self-directed IRAs. Most investors opt for the popular investments such as stocks, bonds and mutual funds. But self-directed IRAs can accommodate a wider range of assets, including real estate and private business interests. American IRA is experienced in working with self-directed IRAs offering options other than stocks and bonds. Besides the advantages offered by self-directed IRAs and self-directed Roth in deferred taxes, following are some reasons you may want to consider self directed. The cash in your self-directed retirement account allows you to make an investment in alternative opportunities such as real estate, businesses, mortgages, and tax liens. You can use your self-directed IRA to invest in a promising business and earn a nice, big payoff if the venture succeeds. Investment opportunities abound that offer potentially larger returns than investing in the shares of these companies. For example, while many publicly traded real estate companies offer solid, stable returns on their stocks, these returns may be nowhere near the profit potential of investing directly in the properties these companies sell. There are a few caveats you need to keep in mind, though. Self-directed IRAs and self-directed Roth may offer larger income potentials, but they are not free of pitfalls. There are rules. There are restrictions on self-dealing, for example, which disallow you from investing your self-directed IRA in a business if you are an officer or if you hold controlling interest in the business. There are specific Real Estate investment rules that need to be followed if you need to borrow money to complete your purchase in a self-directed IRA. There are more rules. Check with your accountant or financial advisor before you get into any investments using your self-directed IRA. A SEP (Simplified Employee Pension) is a plan whereby an employer contributes on a tax-favored basis to his/her employees’ IRAs (Individual Retirement Account). It is a plan that gives small businesses a pleasing alternative to standard profit sharing plans. If the employer conforms to specific conditions, it is not subject to disclosure and reporting needs of most retirement plans. Under a SEP plan, the employer deposits contributions into the IRA of employees instead of the employer trust account, thus simplifying the accounting process. A SEP does not require a broad written plan document and contains a minimum compliance disclosure and reporting requirements. In this current year, 2011, the contribution limits of SEPs of an employer to an employees’ SEP IRA cannot exceed the lesser of twenty five percent of the employees’ compensation or $49,000. And for the coming year, 2012, the contributions to an employees’ SEP IRA can also not exceed twenty five percent of his/her compensation or $50,000. It is important to know that elective deferrals and catch-up contributions are not allowed in SEP plans. Turning your SEP plan into a self-directed SEP plan entails many advantages and benefits. Self-directed accounts can invest in a variety of assets such as real estate, private lending, limited liability companies, precious metals and much more! If you converted a traditional individual retirement account into a Roth IRA last year only to watch the value of the account fall, you could save taxes by undoing the conversion by Oct. 17. But there is a risk: When you undo the conversion, the money goes back into a regular IRA and you must wait at least 30 days before you can convert back into a Roth again. If the value of your account soars during those 30 days and you want to convert again, you could owe more tax than if you had left well enough alone. “It’s a gamble,” says Mike Gray, a San Jose certified public accountant. 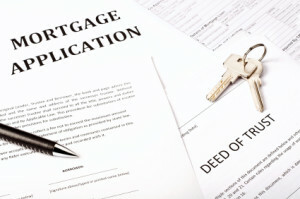 Roth conversions skyrocketed in 2010 because it was the first year people with more than $100,000 in income could do it. At Fidelity Investments, customers converted about 220,000 regular IRAs into Roths last year, more than quadruple the previous year’s total. About one-third of last year’s conversions were done in December, when most stock markets worldwide were higher than they are today. That means more people than usual will at least consider undoing Roth conversions this year. Money in a regular IRA has never been taxed, so when you convert it into a Roth IRA, you must add the entire amount converted into your ordinary income and pay tax on it. Normally you must report the income in the year of the conversion. But for 2010 conversions only, investors had the choice of putting all the income on their 2010 tax return or splitting it 50-50 between 2011 and 2012. The benefit of a conversion is that once the money is in a Roth IRA, it is never taxed. Investors can take it out tax-free (assuming they meet certain holding requirements) or let it continue to grow. Unlike regular IRAs, they do not have to take mandatory withdrawals starting at age 70 1/2. Another perk is that you can reverse – or in tax lingo recharacterize – the conversion if the market turns against you. You simply put the money back into a regular IRA and pretend the conversion never happened. Suppose you converted $100,000 into a Roth IRA in December 2010 and added the $100,000 to last year’s income. Now suppose the value of your Roth IRA has dropped to $80,000. If you do nothing, you owed tax on $20,000 that has evaporated. No problem: You undo the 2010 conversion by putting the money back into your regular IRA by Oct. 17 of this year. This involves contacting your bank or broker and filling out some paperwork. This move takes the $100,000 out of your 2010 income. If you have already filed your 2010 tax return, you would amend your federal and state returns and remove the $100,000 in conversion income. You can file an amended return after Oct. 17. What if you were planning to split the $100,000 between 2011 and 2012 income? If you already filed your 2010 return, you should have stated your intention on Form 8606 and filed it with your 1040. You will need to amend your federal and state tax returns including Form 8606. If you haven’t filed your 2010 return, you would not have to do anything. If you undo your conversion, you must wait at least 30 days before you can convert your regular IRA back into a Roth. As long as the value of your regular IRA stays below $100,000 before you convert again, all this maneuvering will pay off, assuming your other income and deductions haven’t changed drastically and your tax rate remains the same. But what if the value soars above $100,000 – say to $110,000? When you convert back into a Roth, you will owe tax on $110,000 in income instead of $100,000. If your tax rate has not changed, you will owe more tax. Deciding whether to undo a Roth conversion depends on where you think the market, your income and tax rates are headed. For a $1 million account, the threshold might be lower because the potential tax savings would be bigger. But even on a large account, the smaller the percentage loss in value, the bigger the risk it could bounce above its original conversion value and come back to haunt you. Sandi Bragar, a wealth manager with Aspiriant, says her firm is considering it for accounts that are down 10 percent or more. The Standard & Poor’s 500 index is down 8.5 percent so far this year, so if your Roth IRA is invested mainly in large-cap U.S. stocks, it probably won’t pay to undo it. Where it usually makes sense is if the Roth IRA was invested heavily in emerging markets or overseas stocks – which are down 15 to 20 percent or more – or in U.S. sectors that have been especially hard hit, such as small-cap stocks or real estate investment trusts, Bragar says. If you converted into several separate Roth IRA accounts last year, you can undo some and not the others. If you converted into a single Roth IRA, you can undo a percentage of it. If you want to recharacterize 20 percent, for example, you would move 20 percent of each individual holding back into a regular IRA. Another trick: Suppose you converted only some of your regular IRA into a Roth last year and now want to undo the conversion but are afraid the market will rebound. To get around the 30-day waiting period, you can convert all or some of your regular IRA into a Roth IRA and the next day, undo your 2010 Roth conversion and put that money back into your regular IRA, Bragar says.